Personalizing learning at scale can be difficult. Luckily recent advancement in learning technology allow us to automate much of this process, driving learners to engage with the right learning, the right way and at exactly the right time. 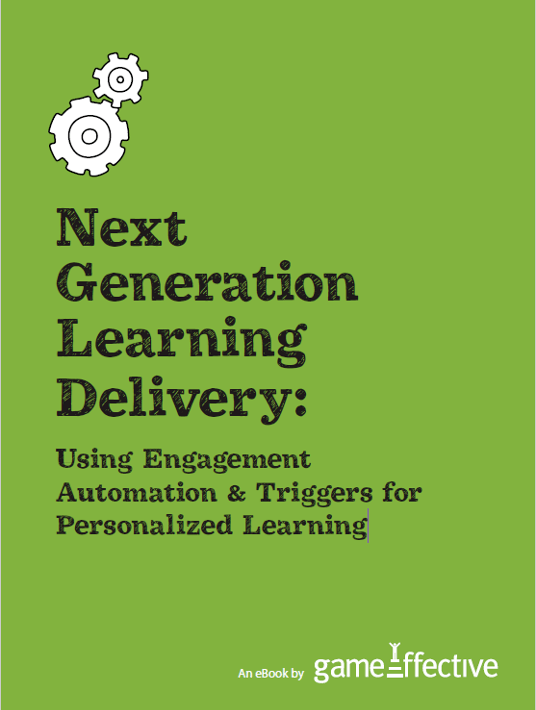 Drawing from the world of marketing automation, where marketing messages and activities are automatically triggered based on deep segmentation of audiences, learning engagement automation helps us make real adaptive learning achievable without going into massive administrative, implementation and content development investments. In this paper, we will explore how learning engagement automation works, explain how segmenting audiences and triggering activities is done and provide some practical field examples on how these concepts can be put into action. Why real time data should be used to deliver the right learning to the right people at the right time. Where to start with making learning adaptive and what's the process behind it. Some thoughts on defining audiences and deciding who needs what learning when. Practical examples of triggering learning adaptations and activities. What if we could automate learning delivery, personalization and coaching, reaping the benefits of engaging and relevant learning? What if the main input we’d use for this automation would be data about actual learner performance? What if we could do this without getting into complex and overwhelming implementation and technology challenges? We can. Learning engagement automation follows the example of marketing automation, which means it is based on deep segmentation of audiences to offer personalized learning. In this eBook, you will learn how to segment audiences to begin with, how to put engagement automation into use along with practical examples of triggering activities, and, last but not least, why all of this is extremely important.